Black Seed Pioneers: Established over three-decades ago, Amazing Herbs is the 'original' manufacturer of Black (Cumin) Seed Health and Nutritional supplements in the world. 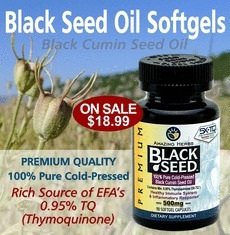 Our Premium Cold-Pressed Black Seed Oil is manufactured in our facilities in Buford, GA, using the highest quality, non-gmo, organically-grown, pesticide-free and non-irradiated Nigella Sativa seeds sourced directly from farms in Turkey and Egypt. 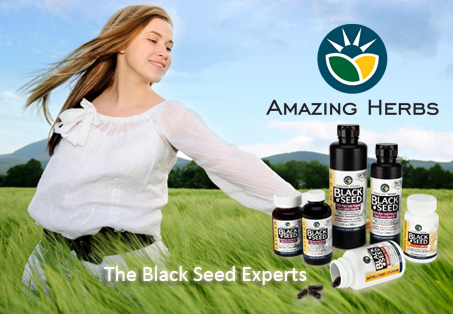 AMAZING HERBS Premium Black Seed Oil and health supplements are the brand trusted and used by Natural Health Care Practitioners. Our products are manufactured in the US in GMP|FDA Inspected facilities using the highest quality standards and natural ingredients from around the world. Stay up to date with current promotions & new products! Sign up for our newsletter below and visit us on Facebook for exclusive discounts and up-to-date research.